Russian Foreign Minister Sergey Lavrov and U.S. Secretary of State John Kerry have observed a minute of silence ahead of bilateral talks to pay homage to the victims of the terrorist attack in Nice, France. 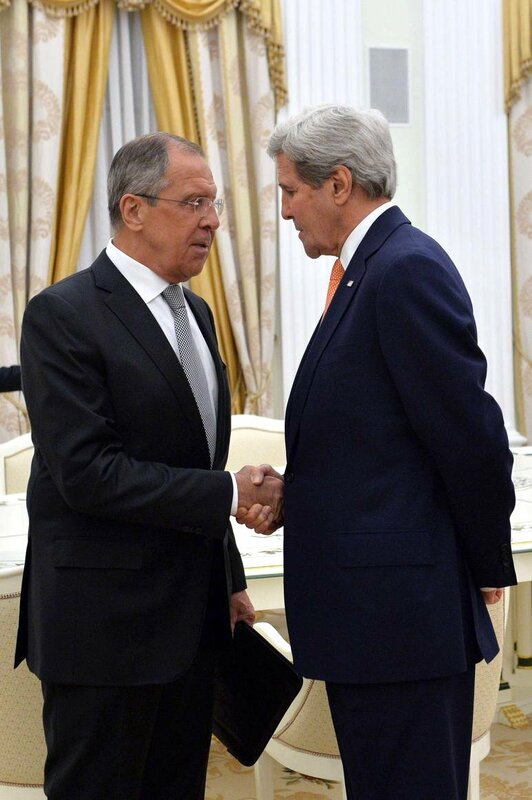 "I suggest honoring the memories of the victims with a minute of silence," Lavrov said. After that the members of the two delegations stood for a moment of silence to pay their respects to those killed in the tragedy. According to Lavrov, the Russian and U.S. efforts to combat terrorism are becoming increasingly more relevant in the wake of the terrorist attack in Nice. There were thousands of people at the moment of the attack on July 14 evening on Nice’s Promenade des Anglais, who were leaving the place after a festive firework display on the occasion of Bastille Day. A truck rammed into the crowd at full speed. The attack has left at least 84 people dead, several dozen sustained injuries. The truck’s driver was shot dead by the police.